Yard Odor Eliminator eliminates stool and urine odors. Spray on any outdoor surface. Can be used on grass, plants, shrubs, patios, patio furniture, kennels, dog runs, swing sets, fences, block walls or any other surface where odors arise due to pets. If spraying on fabric, test product on a very small inconspicuous surface area before using. Shake well before using. Connect sprayer to garden hose. Turn on water. To begin spraying, point nozzle in the direction you want to spray. Turn plastic knob to "ON" position. Spray evenly over area. To stop spraying turn knob to "OFF" position. Turn off water and disconnect sprayer from hose. 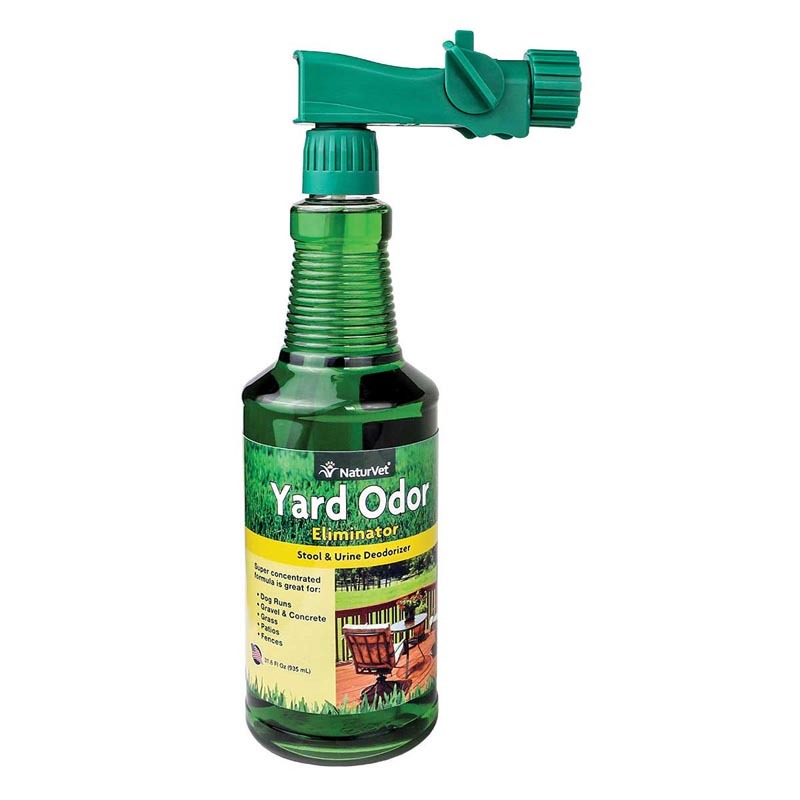 Yard Odor Eliminator quickly eliminates pet odors from your yard due to stool and urine. ELIMINATES ODORS from such places as dog runs, grass, planter boxes, patios, tree trunks, fences and rocks.